For a moment, think back to your 15-year-old self and your typical day in high school. The school bell sounds, and instantly, sensory input comes at you from all angles: conversations and laughter ricochet through the hallways; lockers, doors and books slam shut. An accidental shoulder bump, olfactory overload and varying degrees of light and temperature—the mix of it all is mildly irritating for some, and can be utterly overwhelming for others. Now imagine a teen with a developmental disability or autism in that same environment. Everyday commotion and sensory input impacts them in more profound ways and can result in behavioral problems, compounding their social interactions, communication difficulties or repetitive behaviors. It’s stressful not only for these students, but also for their teachers, who are charged with helping them learn and manage themselves throughout a hectic day. With one in every 68 children diagnosed with autism and one in six children diagnosed with a developmental disability (according to the CDC), we recognized an opportunity to serve a marginalized segment of our society. At Lane Tech College Prep High School in Chicago, we created a place for diverse learners experiencing behavioral issues to recuperate, find equilibrium and return to the classroom, ready to re-engage. The Sensory Well-Being Hub is a small space with big ambitions: to help improve the lives of people who live with sensory processing challenges. Believed to be the first of its kind in an American public high school, the Sensory Well-Being Hub was designed and fabricated at no cost to Chicago taxpayers, and opened in September 2017. 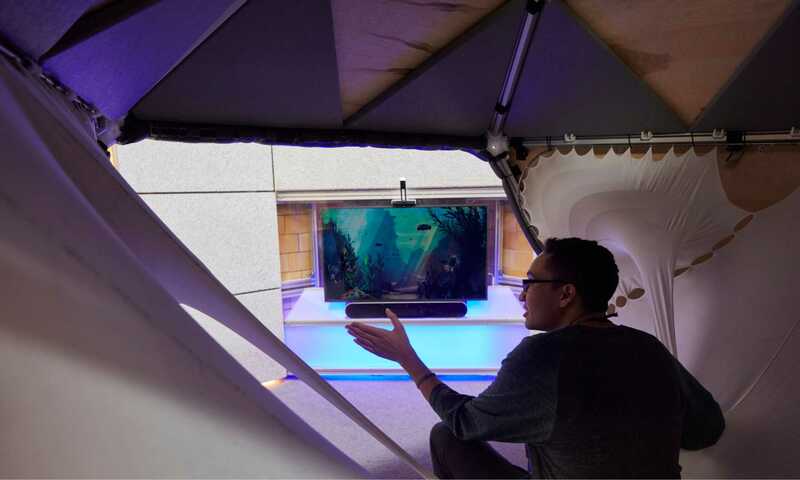 It was funded by donations from HKS, HKS employees, the American Society of Interior Designers, the Lane Tech Alumni Association and in-kind donations from HKS’ generous design industry partners, as well as contributions from scientific advisors who helped advance the design concept. 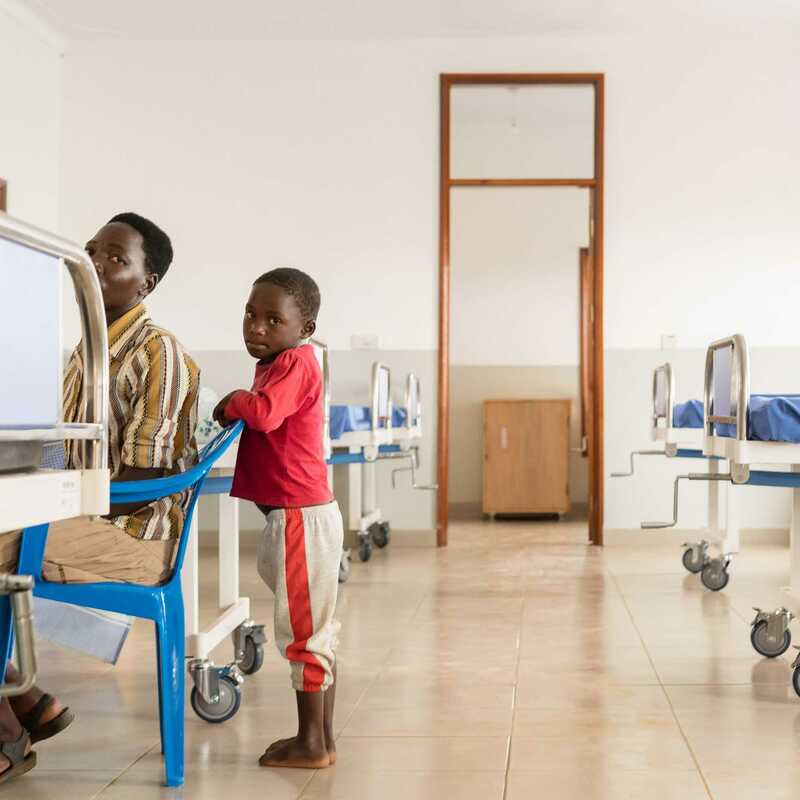 The Sensory Well-Being Hub is comprised of a demountable framing structure resembling a high-tech playset, providing places, or “hubs”, for activities ranging from quiet to stimulating. The hub offers a unique, modular solution with a purpose not to entertain, but to allow students to refocus and calm down on their own terms. Through our research, we learned that diverse learners each have unique preferences of what they need and desire from a respite environment, and the hub enables each student to create an experience that works for them in order find balance. Audio, visual, kinesthetic and tactile features in the hub help students “reset” from a state of either hyper- or hypo-stimulation. A media wall system houses a touch screen monitor, color changing lights and a sound system—all sensory elements that are controlled and customized per the user’s preferences. Zones within the room provide respite through tactile sensory stimulation via textured panels, musical instruments, a Light Brite wall, a peg wall and a curtain of rubber tubing. 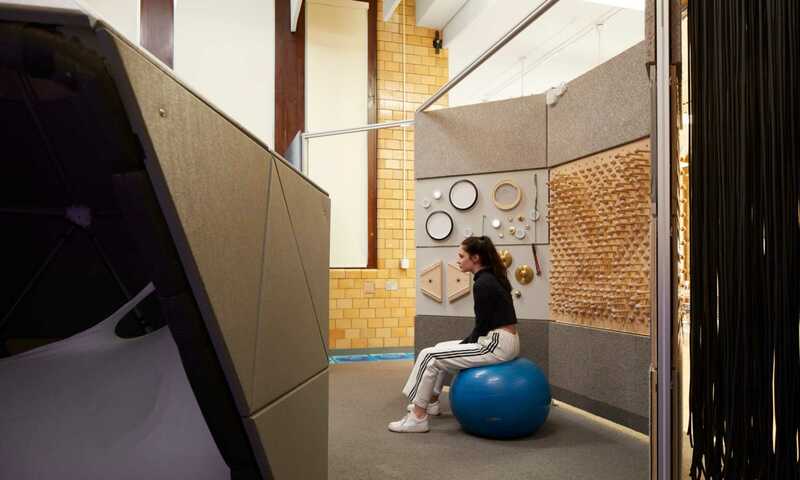 Respite areas include a movable “cocoon” space where soothing sounds, lighting and biophilic videos enable students to escape their surroundings in solitude. An ASID Foundation Transform grant will enable us to research how students use the hub over the course of the school year. What we learn will be applied to modify the installation and improve the hub’s next iteration. Because the circumstances described earlier play out in high schools and thousands of other public spaces inundated by a glut of sensory input, our goal is to build upon what we learn at Lane Tech to create an affordable and easily replicable approach that can be shared and fabricated in other places worldwide. 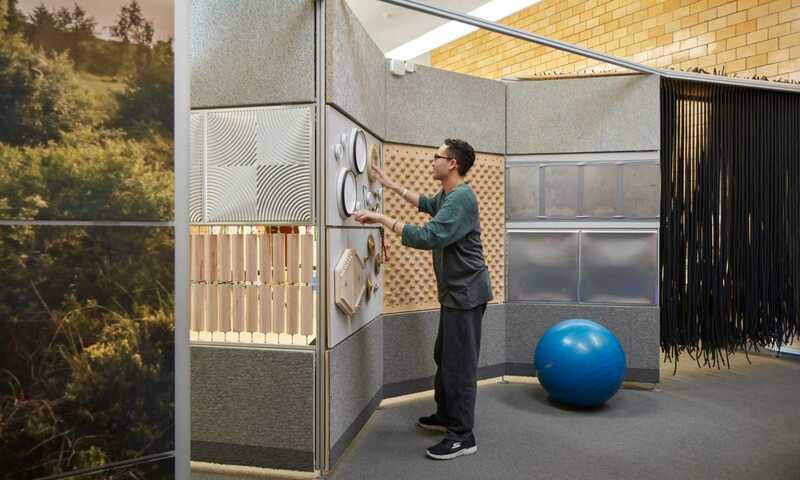 This modular design program will be available for use by anyone who wants to create a sensory well-being hub where one might be needed—schools, shopping centers, hospitals and airports all come to mind as places where such a respite space would be welcomed. The beauty of the modular design is its flexibility; it can be replicated in different settings without the need for hard construction. The Sensory Well-Being Hub at Lane Tech gave HKS an opportunity to engage with the community and bring our design and research teams together for a higher social purpose. We hope this one small space accomplishes big things, one diverse learner at a time. Giving life to architecture carries the responsibility to sustain life for many people — the people who design it, build it, use it, own it — and responsibility to the earth, too. Lisa is an associate principal in HKS’ Chicago office. She is a former team member of the HKS Idea Fellowship, a research program that awards 800 hours to devote to a “What if” question.